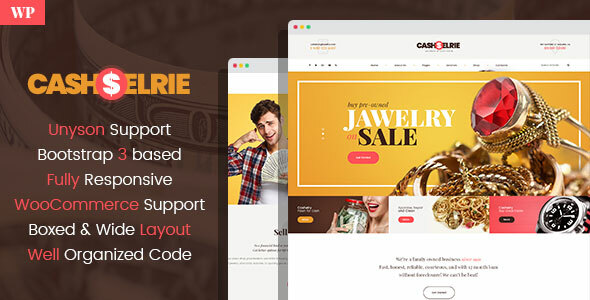 Cashelrie is our latest WordPress theme designed specifically for the pawn shop website, fast loan company website, quick cash loan business and other related websites. This WordPress pawn shop website is a great chance to do business because you have a real opportunity to give your customers a platform to sell or buy goods in a blink of an eye. Buyers can easily evaluate the model that is available.Why our theme? Because it is modernized, easy-to-use with a user-friendly interface and all the necessary pages to create a successful website that is going to attract more visitors to your business! Comes with the standard wide layout and boxed layout option and several header variations. Features Google fonts and Font Awesome icons and comes with super-detailed documentation, as well as 5-star support! Tags: pawn shop, loan, loan offer, small businesss, tax help, quick cash, corporate, finance, pre-owned jewelry, jewels shop, fast cash, value pawn shop, buy gold, sell gold. Thank you for purchasing our theme. We are pleased that you are one of our customers and we assure you that you will not be disappointed as well. We do our best to produce high quality themes with great functionality, premium designs and highly readable code. Before you get started, we highly encourage you to get familiar with this documentation file. Spending half an hour reading the manual may save lots of your time and help you to avoid questions with obvious answers. The theme comes with a large number of custom widgets that can be placed in various widget areas to create unique and eye catching page layouts. This theme comes with a features of rich tools that help to present your content (both textual, video and audio) in user friendly and highly readable manner. Though the interface of the theme is extremely intuitive, we also provided you with great documentation files. We suppose you already have installed WordPress engine on your hosting. If not, please visit WordPress Installation section in our manual. As well, it is very important to have a modern webhosting with actual updated server software. If you don't have hosting, you may choose one of this: Siteground, CMSlauncher, Hostgator. These hostings have maximum compatibility with our themes and using them you will avoid various issues. If you already have hosting, please contact your web hosting service provider to make sure that your server complies with these requirements: WordPress 4.8 or higher, PHP 5.6 or higher, and MySQL 5.6 or higher. Such requirements are highly necessary for using this theme. As a rule, all hosting companies provide their customers with ability to submit a ticket about any issue, besides you may check the "Contacts" section on website of your hosting provider and ask requested information. To use this theme you need to install WordPress engine. But before, it necessary to create MySQL database and user via PhPMyAdmin for future WordPress Installation. PhpMyAdmin is a third-party database administration tool written in PHP. Its web user interface enables the easy administration of one or more MySQL databases. Usually hosting providers allow their user to log in PhPMyAdmin directly from CPanel or through other similar hosting control panel. If you can not find link for your PhPMyAdmin - please contact to your hosting provider and request all necessary information. Your hosting company must provides you with all credentials for Hosting Control Panel / FTP / MySQL server. As a rule, all hosting companies provide their customers with ability to submit a ticket about any issue, besides you may check the "Contacts" section on website of your hosting provider and ask requested information. To use this theme you need to install WordPress engine. But before, it necessary to create MySQL database and user via cPanel or PhPMyAdmin for future WordPress Installation. WordPress Installation is a simple process, but sometimes users have different questions about it. In order to help our customers to avoid any difficulties, we have prepared the detailed manual about WordPress installation. If you don't have hosting, you may choose one of this: Siteground, CMSlauncher, Hostgator. These hostings have maximum compatibility with our themes and using them you will avoid various issues. If you already have hosting, please contact your web hosting service provider to make sure that your server complies with these requirements: WordPress 4.8 or higher, PHP 5.6 or higher, and MySQL 5.6 or higher. Such requirements are highly necessary for using this theme. Please make sure that your server complies with these requirements: WordPress 4.5 or higher, PHP 5.6 or higher, and mysql 5.6 or higher. Such requirements are highly necessary for using this theme. This video shows how easy to install demo content. Upload and activate zip with theme, install and activate all plugins and extensions. Then click "WP Dashboard" and refresh the page in your browser (F5) several times and you will view "Demo Content Install" button in Tools. Click "Install" button. This is very important: After demo content installation all your existing content will be overwritten! Please check your website. All images present in demo content, but they are blurred. We use this measure in order to prevent any copyright issues between our customers and the owners of the images, because each image in the live version of this theme has an owner and a license. It is much handy and easier to edit content with colorized content and blurred images are quite suitable for these purposes. If you strongly need the images with high resolution in demo content - we can provide you with such images. For these purposes please provide us with FTP or cPanel access for your host and we will upload them for you. In future please buy or replace these images on yours own. You may view the links where you can buy all images used in Sources section of this manual. A child theme in WordPress is small, lightweight "add-on" theme that inherits all the styling and functionality of another theme, called the "parent theme" in this case. You can create a child theme for any theme in WordPress. Child themes are used when you want to make changes to a site without actually changing the code or files in your original theme. This lets you update your original theme (which is the engine behind the child theme) without losing any changes you made to your site. Please view this video tutorial about how to upload and activate Child Theme. Changing original theme files can very easily become a cause of an issue. Child theme is a safe and easy way to change things in your main content without worries about losing your work during updating a theme. Just use a child theme. Most pages in theme are built with the help of Unyson Page Builder, which does not require any programming skills and has drag and drop feature, it is very flexible and free. We have prepared for you detailed instructions about how to use this helpful builder. Please read this manual attentively and you will modify existing pages or create completely new page with great pleasure. Unyson Page Builder - is the extension, which is initially installed with the theme. 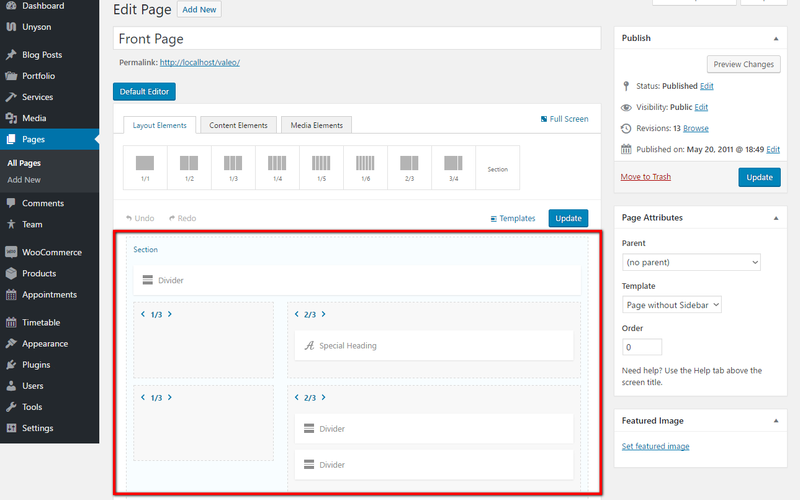 To start use page builder, click WP Dashboard => Pages => All Pages. Select existent page or create new. Click Visual Page Builder button and you will view the structure of the page. Here you may see all sections with appropriate elements inside them. By default, Unyson Page Builder contains standard set of Layout Elements, Content Elements, Media Elements. We have carefully chosen appropriate and optimal set of these elements for every theme. In different themes you may meet the default set of theme elements with some custom elements developed especially for this theme. - such layout element like Section can contains other smaller layout elements: 1/2, 1/3, 1/6 elements etc. - it is possible to change order and size of layout elements for subsequent adding in them other elements. - using drag and drop feature you may insert in layout elements different content and media elements. - every content and media element has it's own appropriate options. - you may change the order and sequence of sections and elements using drag and drop feature. Please compare the structure of the same page from left side and from right side. before and after modifying. - it is possible to change the order of content and media elements inside layout element. - you may duplicate any section and element if you need similar appearance of these items. - it is very handy to collapse sections with the content inside when you want to change their sequence. It helps you to avoid any confusion while this process. - it is possible to save as template any page. For example: you have created page in Unyson Page Builder and you want to make some additional changes in it. But there is no 100% guarantee, that you will completely like new changes. Maybe you'll want to return the previous version of page. In this case the saved template of page in Unyson Page Builder is very helpful. - in the similar way you may save as template section or layout element with content inside. Then it is possible to insert saved section or element in any page. - you can temporary to hide/show any unnecessary section or element. As you see, in all previous examples we have described in details how to compose the appearance of front page or any other page for your website with Unyson Drag & Drop Page Builder. Please do not forget to update modified content with Unyson Page Builder. We have integrated many additional options to the default Wordpress "Customize" menu, which provides you with flexible control on the appearance and behavior of the entire website as well as of the individual page types. Moreover, you can see the changes of the frontend right after the alterations - when the needed parameter is selected, without switching from admin to frontend each time. It saves much of your time and allows you to customize website just in several clicks. When your changes are prepared trough "Cuztomize" menu, you should click "Save and Publish" button at the top. There are quite a lot of parameters here, but luckily the majority of them have default values that suit most of the users. This beautiful theme contains very optional and useful Customizer, which allows you to control many features of the appearance of your website. 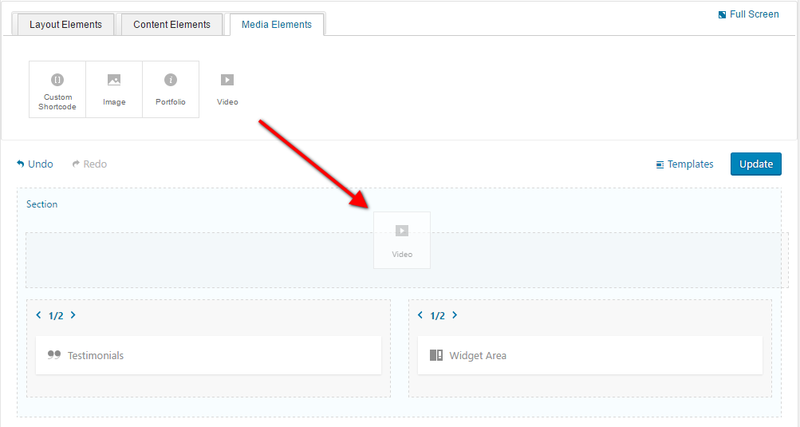 To open it, please go to your "WP Dashboard" => "Appearance" => "Customize"=> "Widgets". Here we can see how many widgets theme has and general settings of "Customize". All these widgets have optimal settings for the appearance of the frontpage. Please do not forget click "Save and Publish" button in order to apply your customization changes. With the help of Unyson Page Builder you may perform additional customization of your Front Page and modify other pages which were composed with the help of Page Builder. It is possible change the order and sequence of sections and elements using drag and drop feature, applying different color overlays for section and backgrounds, add new sections and elements inside them. All these features may help you to edit hompeage and change its appearance. Please do not forget to update modified content with Unyson Page Builder. After all changes click "Update" button, then chek your front-end and reloada necessary page in a browser using CTRL + F5 keys. Slider extension - is the perfect way to show your visitors the most important content of your website with the help of images and short text descriptions. You can add infinite image slides in a single slider using multiple image uploader. 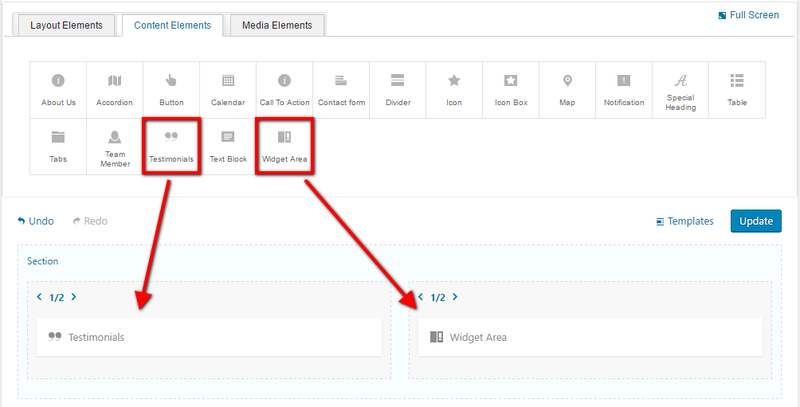 You can publish unlimited slider on your blog. You can configure each slider setting individually and accordingly to you. You can show slider within the Page. 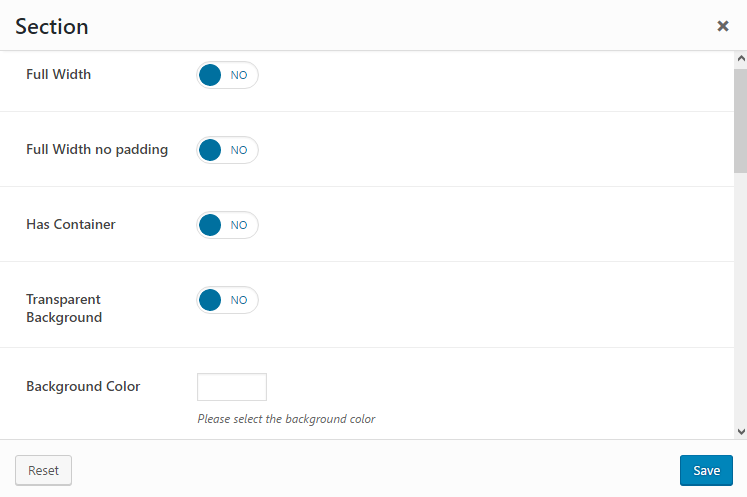 To prepare Slider for your theme, please go in your WP Dashboard => Appearance => Sliders => Homepage Slider. Click "Edit" and you will see settings for the Slider. Here you can add/remove new slides, Slider Title, Slider Logo, Slider Logo Text. Also please do not forget to save changes after editing slider. You may create several sliders with different images for your purposes. Custom Content Team plugin allows you manage, edit, and create new members. It's perfect members manager plugin for WordPress. Custom Content Team plugin has many useful settings, it is very easy to create/remove or change member's profile, add new photos and description for any member. If you want to get access to setting of this plugin, click on "WP Dashboard" => "Members". Here you can see such subsections like: "Members", "New Member", "Categories", "Tags" and other settings. The screenshots below shows interface of the plugin and it's appearance on website. In order to create new profile for member, go to "Dashboard" => "Members" => "New member". You can to add here text, images, video and also choose category or several categories for member. Services: this extension will add a fully fledged services module that will let you display your services using the built in services pages. Extension is very helpful for your website visitors, because they will always know the actual information about your services. Please view the video tutorial in order to understand how this extension works. For every Service available additional settings. Click any Service and you will see its description and other flexible options. It is possible to create categories for services and choose for every service a proper category. It is very useful extension which help to inform all the visitors of your site about services. Smart and Easier setup of Events Theme slider.This modern WordPress theme is designed for events and other entertainment and lifestyle events. To use this category, please click WP Dashboard => Events => All events and than choose that point what you need. . 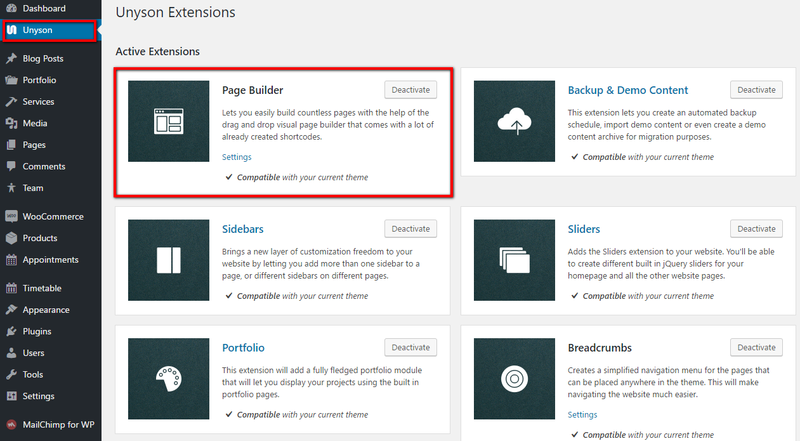 The Portfolio extension allows you to create Portfolio section on your site. This is the part of Unyson framework. With the help of this extension it is very easy to create a gallery for your projects. Every project has post-type appearance, contains featured image and text with pictures inside. This is more then simple gallery, because it is very informative for your customers and website visitors. Besides you may add necessary categories and apply them for your projects. In order to customize your Portfolio, please go in your WP Dashboard => Portfolio => All projects. Click any of existing projects and you will be able to edit it. Besides you can find heaps of options for additional customization if you click Portfolio => Categories. Click any category and you will view many additional options.